Fire sprinkler systems are crucial for property and investment protection, but most importantly the protection of lives. Improperly designed, installed, or serviced systems can lead to catastrophic failure. At Action Fire Pros we recognize the seriousness of a code compliant, properly installed, well maintained, and exceptional fire protection system. For over 20 years Action Fire Pros has designed and installed systems ranging from simple wet fire sprinkler systems protecting commercial office buildings, to complex deluge AFFF foam systems for high hazard occupancies. We have consistently remodeled, retrofitted, and installed fire sprinkler systems on schedule and within budget. Our highly trained, in house design technicians and installers follow the strict guidelines set forth by the local jurisdictions, adopted codes, insurance providers, and National Fire Protection Association to ensure a proper working system. You can be confident you are getting the most cost effective but high quality system available to meet your specific needs. False alarms, leaking pipes, and damaged sprinklers are just a few fire sprinkler system service issues that can be challenging for the customer. At Action Fire Pros, we pride ourselves on delivering when you call. We are available 24 Hours – 7 Days a Week – 365 Days a Year to meet and exceed your service needs. Action Fire Pros’ seasoned service team not only safely makes the repair, but also provide a solution to the problem. 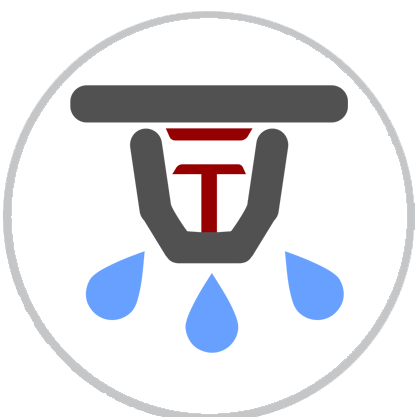 We offer turnkey repairs and solutions on all fire sprinkler systems. Our technicians are highly skilled at working around you so as not to create disruption to the day to day activity of your business. Complete and thorough visual inspection of all sprinklers, valves, components, devices, piping, hangers, and assemblies. Inspectors flow test of the water motor gong. Flow test of the main drain. Testing of the mechanical operation of waterflow and tamper switches. Inspection report for your records.